What Is a School Orchestra? An orchestra consists of several different sections of instruments. String musicians, such as violinsts, appear on stage in orchestras. 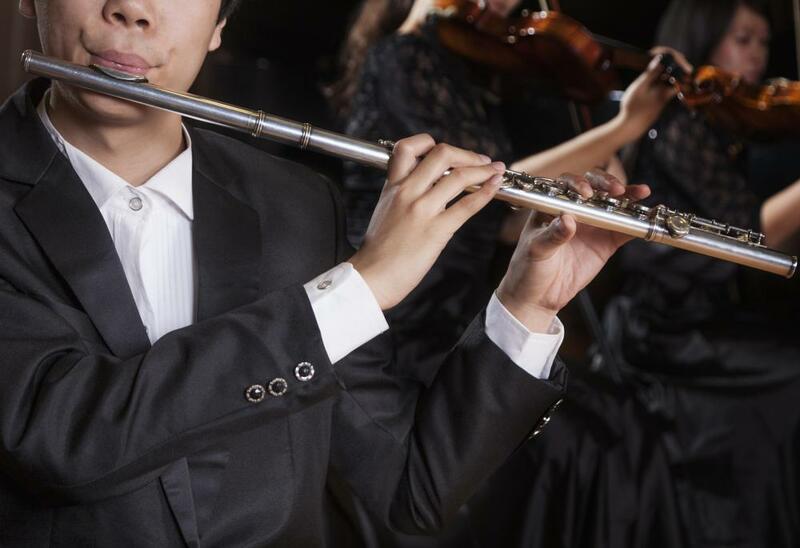 The flute is a woodwind instrument that is played in a school orchestra. 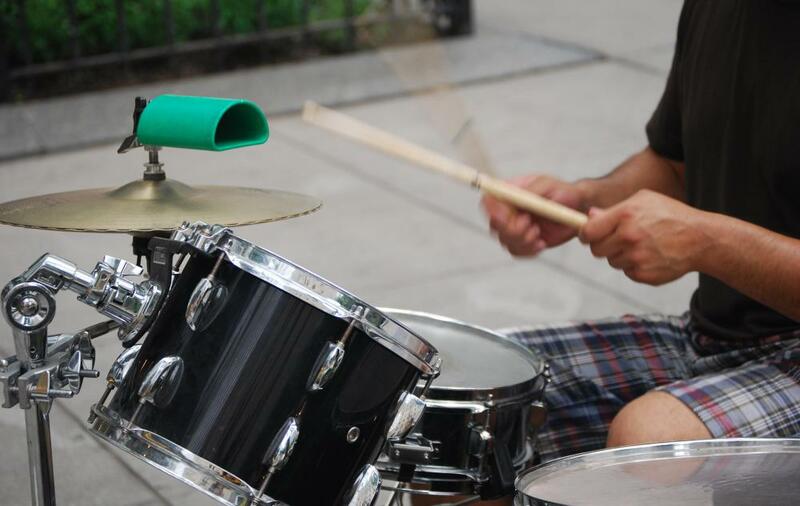 A drum kit might be included in a school orchestra. A school's band and orchestra are likely to be two similar groups of musicians with slightly different performance standards. The school orchestra is likely to combine string instruments with the wind instruments of the band like brass and woodwinds. A school's band director also may recruit members for special strings-only or chamber orchestra groups. A school orchestra can be identified not only by what it contains but also by what is does not. Percussion forms the backbone of only some orchestras but of all school bands, from the marching units for halftime shows to the jazz ensembles and larger seated concert bands. Bands do not have stringed instruments, either, but they do have a lot of brass like trumpets, French horns, trombones and tubas as well as reeded woodwinds like flutes, oboes, saxophones and clarinets. The school orchestra differs from this model in many ways. The first indicator that a band is actually an orchestra is whether string instruments can be seen on the stage. These range from violins and violas to cellos and basses. If this is the only type of instrument employed, then the group will be called a string orchestra. If strings, brass, woodwinds and percussion are combined, a symphony orchestra is born. Orchestras invariably perform from the seat positions; whereas, bands may be seated, standing or even marching to intricately conceived choreography. The size of a school orchestra often depends on funding as well as the desire and past training of the student body. When the group reaches at least 100 members, with first chair positions awarded to the best of several players from each instrument, a philharmonic orchestra is formed. 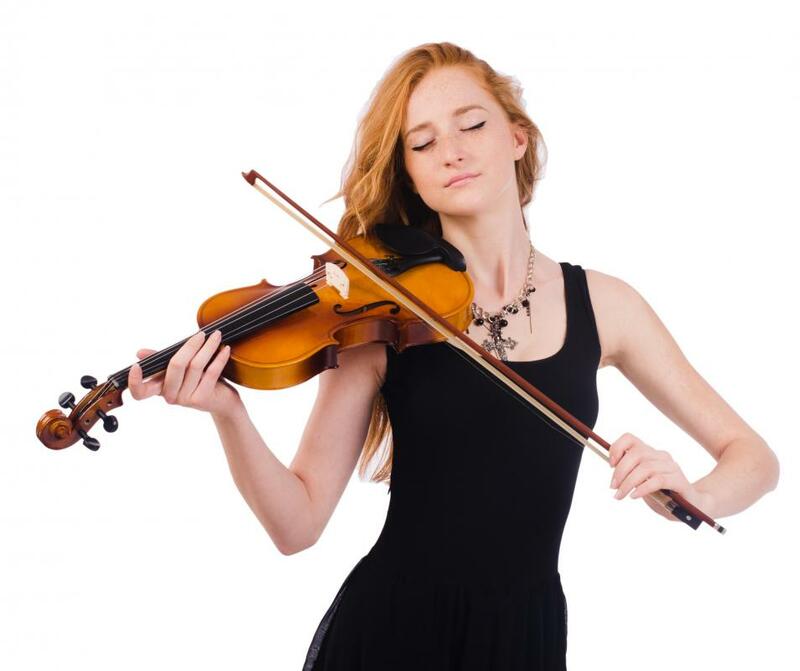 Most major cities and schools of music have philharmonic orchestras to which school orchestra students can aspire. Orchestra concerts may or may not feature singers or special instruments like a harp. If soloists are employed, it is customary for that individual to stand upstage, often near the orchestra's piano. The type of music performed by an orchestra runs the gamut from modern arrangements of popular music to famous compositions made particularly for the orchestra. A school may form a smaller chamber orchestra with 50 members or less. These ensembles often contain just one or two of each type of symphony orchestra instrument. Many modern symphonies also contain, along with the brass, percussion, woodwind and string sections, a cluster of rhythm section instruments that are common to modern bands. Mostly contained to guitar, bass and drum kit, this rhythm section is a frequent addition to a school orchestra that gives more music students a chance to train and perform on a regular basis. What Are the Different Types of Orchestra Groups? What Are the Different Types of Orchestra Music? What Is the Difference between an Orchestra and Band?